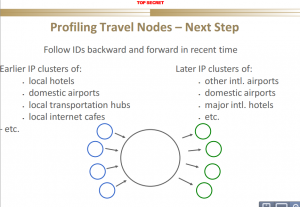 CBC has a scathing report about a pilot project their SIGINT agency, CSEC, did in 2012, tracking the free WiFi in Canadian airports. The article — with lots of quotes from furious people describing how illegal this is under Canadian law — is here, and the backup document is here. 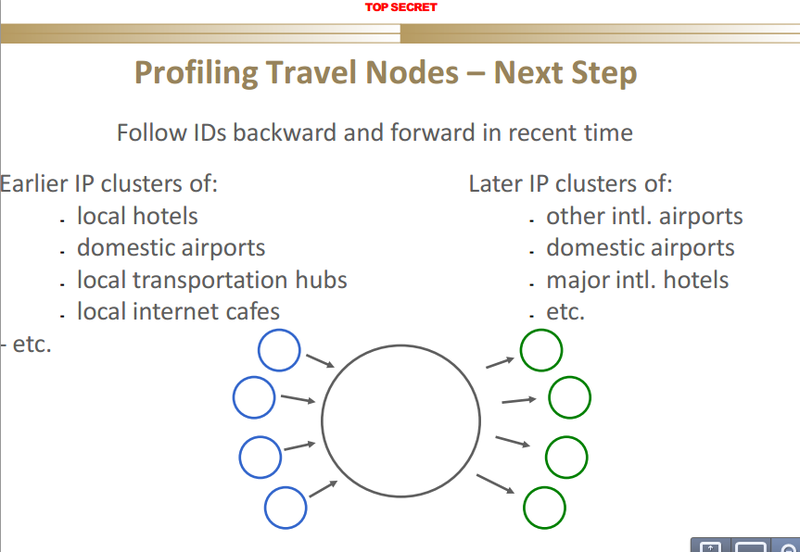 The PowerPoint is just as interesting for the methodological details as it is for the fact that CSEC is collecting off of airport (and hotel and other public) WiFi sites and doing so to hunt imagined kidnappers, not to find terrorists. alert to: target country location changes, webmail logins with time-limited cookies etc. I’m interested in it for one more reason. 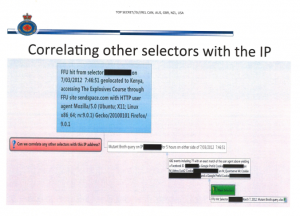 We’ve heard the term “tipper” before — it’s what NSA calls query results that get sent to FBI from the phone dragnet. The term implies that data analysis shows something new, which then gets shared with other intelligence agencies and law enforcement. I raise this for one more reason. At least as early as February 25, 2010, the language used to describe the information shared with FBI from the dragnet changed. Previously, it had used the term “tipped” (and when this whole Snowden process started, that’s what NSA defenders used to describe the information — tippers). Again, none of this is surprising. The existence of the “alert” list that caused all the troubles in 2009 made it clear this functions as part of a panopticon as much as it does a lead generation tool. But it’s worth noting that the 5-Eyes are actually fighting a losing battle against “the Natives”* that is far more intrusive than all that. 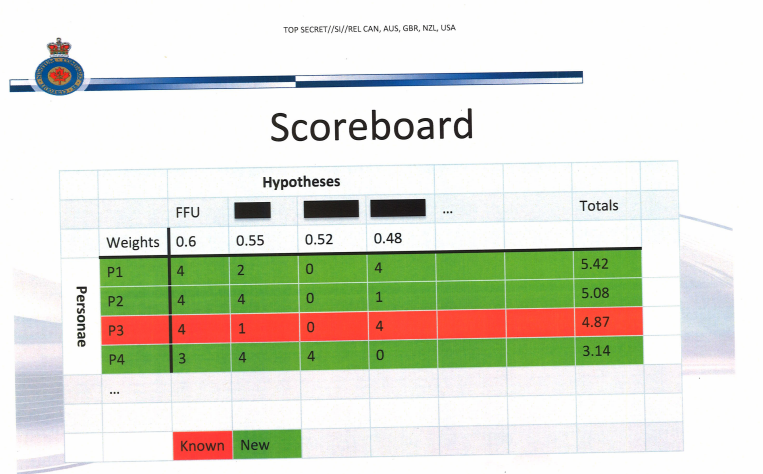 Update: I noted above CSEC ran this test on an imagined kidnapper, not a terrorist. The Globe and Mail reports that the number of Mounty requests for help from CSEC is going up, and it may be a way to bypass warrant requirements. * [Update] This was meant to be a joke that both the Battle of Tippecanoe and the 5-Eyes’ Tipping and Cueing target “natives” by deeming us foreign to our own land. Given joanneleon’s comment I realize I was being too subtle.